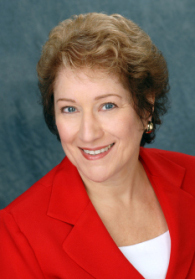 Dr. Rhoda L. Agin designs customized vocal and speech training for your individual needs. The list of personal characteristics reflected by your voice is almost limitless. Professional speakers need volume, business executives need authoritative stress... broadcasters value resonance and precise articulation, singers need emotional range and endurance, business leaders seek an authoritative voice, and sales personnel need persuasiveness. Dr. Agin has done public speaking training with hundreds of individuals in a wide range of industries and professions --from faculty chairpersons, teachers, attorneys, CEOs, and marketing managers, to opera singers, announcers, and sales associates. Whether you speak or sing to earn your living, have experienced a medical condition that requires a change of voice and/or speech, or simply desire to improve those skills, Dr. Agin creates the tools that achieve your desired results. Dr. Agin serves clients via personal communication coaching, therapy and training for a wide range of communication concerns. Starting October 28, 2019 voice and speech services will be available in the New York City area. All Content Copyright 2019 by Rhoda L. Agin, Ph.D.